In this article, we are sharing the contact details of Uber Cabs. Details consist of Uber cabs customer care number, toll free helpline number and support email ID along with corporate/registered office address, phone number, fax number etc. with reference to the official website of the company. 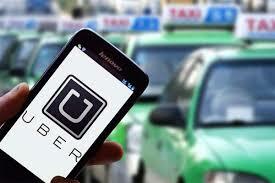 Uber is a big brand in India as well as the globe in the field of cab services. The company has been registered has Uber India Systems Private Limited. CIN No. is U74120MH2013FTC247008. It is a subsidiary of San Francisco-based Uber company. It started serving India people from 16 August 2013. Ryan Allian Graves and Travis Cordell Kalanick are the Directors of this company. Uber Cabs allow you to hire cabs and taxies easily. They claim to provide travel services at affordable costs. In India, they are serving in Bangalore, New Delhi, Hyderabad, Chennai, Mumbai, Pune, Kolkata, Ahmedabad, Jaipur, Chandigarh and Kochi. Uber’s direct competitors are Ola Cabs, Meru Cabs like brands. Uber Cabs are not providing any kind of customer care number or toll free helpline number. We suggest you contact Uber Cabs by following the below-mentioned customer support email ID. Send you complaints, problems, reviews, suggestions, feedback etc. related to the services offered by Uber Cabs through email addressed to the above-mentioned email id. Mr. Saad Ahmed is the Grievance Office of Uber India. We would like to tell you that Uber also entertains customer queries through social websites, which are mentioned below on this page. Uber users/customers can share their queries on these support handles of Uber on twitter and they can expect a fast response also. 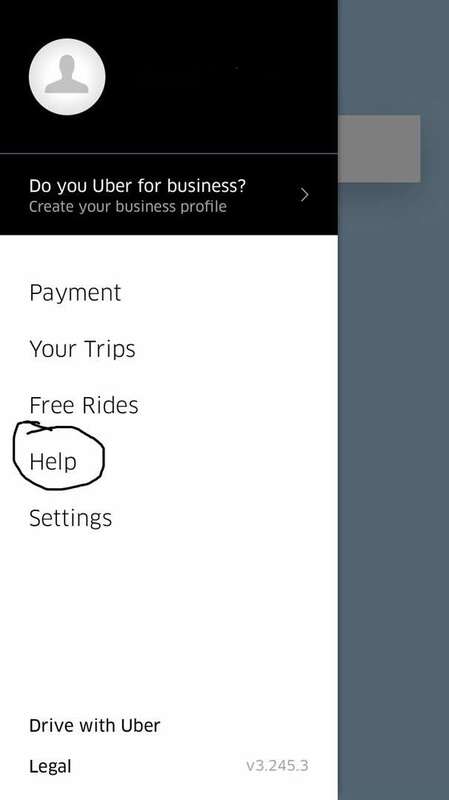 Get Support using help option of Uber App. Check out the Picture for easy understanding. You have any kind of questions related to Uber Cab services. Follow this page to get to know the answers directly through Uber itself. These are the contact information which has been obtained from various reliable resources. You can try to contact the official staff by using the information. Alternatively, you have also an option to connect with the company by using the official social profiles. These are the best medium in a way to share views, reviews, queries and suggestions. For jobs related notifications, updated and information you must go through the above-mentioned link. It is the official blog of Uber. Latest announcements and updates are being shared by the company through blog posts. This is very disappointing to inform you after regularly using your services since long ,now your practices started on unprofessional way . Today I have visited CP and came back in hour time from the same place to my same location . And when I booked the cab to return my same location return charges was also Rs70 till I reached my destination , but when the trip closed it got double the charges from Rs 70 to Rs 140 /- for the same distance same location and same time . Please revert me on the same to avoid to discontinue your services and to take action against this incident . today I left my bag in the cab boked from golden apartment white feild to railway station bangaluru. driver was Mr. harish. please tell me in my mobile no 9001295286/9588278255 how i will collect my bag. I am a regular rider of Uber but I had a very bad experience on 14th October in the afternoon. Yes I sent the request but as everytime I type the pickup location, some other nearby address is shown so I immediately called the driver and confirmed the address and gave the direction. But that day I kept on calling the driver named Devendra several times, he picked up the call but could not understand and kept on moving from here to there and wasted my time. I had to go to the hospital. Once he didn’t pick up even. Finally when he picked up I told him to cancel as he wasted lot of time because of his lack of sense and illiteracy, he spoke very rudely and I had to cancel the trip. It was totally his fault why I am charged for it? On top I could not book any other uber. I want the problem to be solved asap. I sent the above mentioned mail on 16th October but the problem is not yet solved. I cannot even book Uber since then. It is showing that I have a credit of Rs. 47. You are recruiting some hopeless drivers who can’t understand the map direction and we the riders have to cancel the trip and pay the amount, isn’t that ridiculous and annoying as well? Please look into the matter and solve the issue. Although it is a peanut but on principal I will not pay this amount as it wasn’t my fault at all. Infact Uber is becoming unpopular because of these incidents. Many of my colleagues are facing such problems they reported. airport at about 20.40 reached tarnaka at about 21.45 after reaching home after half an hour found cell phone missing rang up to driver he searched with passengersin his cab they were dropped at Mehandipatnam. So kindly enquire with driver or the passengerswho got down at mehandipatnam. My daughter and son in law both are deaf and dumb.kindly look into the matter. The driver no 07661077751 Gantikota Srinivas kindly look into the matter and reply. After this incident he removed this profile photo from phone. police may interogate ur driver. Today i tried to book a Uber cab, and while showing me a estimate cost for that trip the total amount added, more 63 rs. showing me balance of last trip. Request to check for this as per my knowledge there was no balance for the same. My registered mobile number is 9560692854. I am facing a problem in logging in. I am not able to login to my account. After clicking the “forgot password” button and after entering the code which I got through SMS on my mobile. It says number is already in use. Tried to get connected using social media without any help and outcome. I am not able to login to my account. I forgot my password. After clicking the button and after entering the code which I got through SMS on my mobile. It says number is already in use. Tried to get connected using social media without any help and outcome. I can’t able to get login to my account.I have forgot my password and after entering the code which I got to my mobile. It says number already in use. Booked cab on 7/9/17 at 8.45 p.m; driver syed mohammed attended my call. Contracted him more than 8 times. Later he informed that his phone got switched off and later his trip got cancelled from his side. Hence I took an auto to my destination. Later I got a call from another driver. I told him that I have not booked another taxi. Now at 12 o’ clock when I tried to book another cab I find that an excess amount being demanded. I have not confirmed the trip. Please do the needful. I reset my Password thru PC. When I Login from my Mobile +919686696671 it says incorrect password. Dear sir/madam, I want buy a cab car for your company in AHMADABAD,S plz may you tell me that what are the requirements? Dear sir/madam, I want buy a cab car for your company in Bangalore,so plz may you tell me that what are the requirements? Drastic experience today. Booked for Uberpool at 9.51 AM from 349, Sector 5, Gurgaon. Received a message for the driver Ashok with Maruti Suzuki. The driver didn’t arrive at the location at all. When tried to contact, the number continuously came busy. He did call back but immediately disconnected and the cancellation message arrived along with the cancellation charges. Post that could not connect with anyone. Unable to understand my fault to pay cancellation charges. Pl do the needful immediately since I am frequent user. Dear sir/madam, I want buy a cab car for your company in delhi,so plz may you tell me that what are the requirements? I take uber cab to Cochin international airport from palarivattom. And the actual fare is 967 takes by driver from me. Uber account under name Raj Rane having email id rjrane1@gmail.com and mobile no +91 9822004433 was suspended/ deactivated since 29th March 2017 which I have been using for last 2/2.5 years. Tried asking for reason of deactivation/ suspension was not given any reason,mentioning suspended/ deactivated as per Terms and Conditions. I would like to know the reason as well check my track record for all last usage if I have given any reason for same. I’m? facing difficulties in travelling around. I had called Uber Go at 5.30 today. I think the Toyota Ethios car was having number 3147 or 5147. He talked to me and asked where to come and I had to go to Vyttila. Charge was Rs. 165 or so. Without informing me the Driver cancelled the trip. Was it not his duty to at least inform me. Like a dog I was waiting and waiting for the Car. Unfortunately I could not contact the number from which he telephoned. When I ring that number I get the message to use some other code which I am not use to. Is Uber trying to play with customers in Kochi. I had some urgent work at Vyttila. Because of the cancellation by Driver I had to suffer big loss. Like this people will lose confidence in Uber. You are a big company and not bothered about poor customers. Our colony’s name is GAYATHRINAGAR. It’s in between Dwarakanagar and Anjaneyanagar in Boduppal. When book a cab our colony is not notified. Our colony is 10 years older than Anjaneyanagar. Every time, facing embarrassment at the hand of driver’s. Will you please set right the ambiguity and help locate our colony in your maps and save us from embarrassment. I will be grateful for the early response. This is my feedback for this trip..
1. Total fare was showing 268 rupees when i requested for pick-up . how did it change to 380 rupees after the trip Totally unfair. 2. How can you add 40 rupees for January month cancellation charges where Driver cancelled the trip or denied to pick-up & you collected it from me..
really it is a business to get money without ride . This should be taken from Driver not from me..
3. last but not the least . i felt uncomfortable & insecure to ride in Uber with family.. Trip was going smooth initially. later driver switched -off the phone and parked the car & started playing with phone. due to that i missed important event and i could not reach on time ..I already shared the details with driver that it is 268 rupees which is showing before he switched -off the phone. i do want to know the trick how it can increase the amount from 268 to 380 rupees..
Further this time i had money so i paid but not often this happen .Some time limited money were in the pocket .. .like if it say 268 then it should be 268 or max variation that can be 270, 280—upto 300 rupees is okay but 380 is not appropriate. Thank to God i was with my family during that trip. .
How a girl /woman with children can think to ride in uber ? How i can recommend other people to use Uber ? and what will i say to other what is happned to me can be other also. i am really disappointed this time. I am not behide money, My concern is for with Safety & trust . I often use Ola Cab. I agree that it is expensive as compared to Uber but Trust is there………..
My friend always ask me to use Uber and after this type of services , would you think that i can hear them a word ? Kindly take necessary action before it is too late….. Just like happened in Delhi i do not need to remind that incident …. I am unable to open my acc. On mobile no. +91 7011881430 plz tell me whats there problem that i am unable to use my aaccount on uber app….. I want to give my car for Uber services in Mumbai,please call me on 9820000611. I used the UBER cab from AAVASS INN PARADISE hotel, Mysore to KSRTC Bus stand,Mysore.The driver was a fraud and he charged me Rs 70 instead Rs 35.The driver shown ne the wrong msg in mobile.The driver name is Shiva and Vehicle no 2010, Ethos. I want to attach my car with uber…how to process is done ? Please help !! As fast as Possible !! I want to attach my car with Uber, plz give me details. My contact no is 9903939430, 9143065280. Plz let me know the reason for it , your mail is showing some cancellation charges but I hav never traveled by Uber earlier or cancelled any trip . My first experience with Uber has left a bad memory. I want to use Uber cab services daily from ‘Madhapur to Dilsukhnagar’ during 6:00 – 7:00 pm.So, I would like to know if we can expect any reduction in the amount charged on daily basis. Why there are no contact numbers of customers care of uber on your websites nor any email id. I need to buy a car and attach in uber or ola.. contact me as soon as possible.. I give car in Uber cabs.so please get an idea. hi this is regarding you people just fooling middle class people as i downloaded the app for getting my first ride free insted of that you charged me for my first ride and you people charging me for cancellation as well please give me explanation. I am a regular uber user but am not getting any discount rates or offers. I am Dibakar Mohapatra, from Bhubaneswar. I depend on UBER for my children to commute between home and school everyday. Last night while educating my daughter how to book a UBER CAB, I tried a demo using my smartphone with very low signals of internet through the wifi. It showed only one cab and while looking for more cabs to choose one among them, if available in the location, the phone got hung. Then I received the call from the driver and I told him the reality. He asked me to immediately cancel else to pay Rs. 50/- as fine on the next booking. Since I was new to this, I did not know about uber policies and tariff. I may please be waived off this from the fine. I would be careful next time. The worst experience I had ever …I booked a cab from Ram manohar lohia hospital to new kondli my expected charges was Rs. 241/ cab no. DL 1RT 3138 Driver Roushan mob. No. 9717656864 was just one minute distance from me ( gole dak Khan’s ) he said that coming in one minute . I was waiting with my brother ( patients ) who was suffering from paralysis attack can’t stand….. This driver make me to stand there at the main gate of RML for 45 minutes …whenever I called him it was showing call busy …….he was actually riding someone else on my call . This guy need to be punished seriously or need to be kicked out ….I’m going to lodge an FIR against him . I had booked Uber Taxi in October 2015 to go to Railway Station from RBI layout, J P Nagar 7th Phase, Bg-78. The charge was Rs.158.00 and I have paid the full amount to the driver. But to my surprise, whenever I try to book ober taxi,the system will not allow me to book and it gives the information stating that there is a balance of Rs.158.00 to be paid. I am a retired bank officer and I have paid amount more than the bill amount to thr driver. Please check this pending case and allow me to utilise your services. I am looking for a company tie up for the use of our employees. Earlier last week I had given my details for someone from your end to contact me. But till now no response . Please make arrangements for some one from your office to call me or contact me on 9900079084.
would like to talk about taxi business so please provide your contact detail as we can catch you as well as discuss about business work with you. Would like to have a contact with Uber for daily transportation of our employees on monthly contract basis. What is the minimum for a Ubergo taxi. What distance I can travel with minimum charge. As per the offer sent by Uber; I had used payment method by PAYTM for which each one of the 5 rides and was to get Rs.100 cashback for every ride: credit of which I have not got for any of the rides. Request for the credit of Rs.500 for the 5 rides. I have used Uber rides for four times. The common thing in 3/4 rides was the driver couldn’t locate my place. As per my knowledge they can locate place through their installed system in the car where it shows the exact location from where the person is calling. But not sure. What I assume is the meter starts from the booking location and if you are some where around then they take lot of time to get at the correct location. The other time I had to catch a flight and had almost missed it!!! pool cab only we paid around Rs 120 only. While returning after booking I saw the fare it was Rs 101/. I called the driver who was near to that place. So many calls I wasted to explain the place where we are. That driver could not locate the place. Finally we cancelled that driver cab. Again I booked to Uber cab and got message that fare is same Rs .101/only. Second time that different driver found within 5 minutes where we are. He came and dropped us near to my house at Murugesh palaya. When we gave Rs. 101/ he told fare is Rs 151. He explanined that fare is only Rs 101/ but the cancellation charge is Rs 50/. Any how we paid Rs.151/ didn’t want to argue. Now I am asking U why should we punished for driver’s mistake? We senior citizen most of the time using your cab, Each and every time some problem arriased. I think we have to stop using your service. I paid Rs.151.10p in cash to the driver Mr. Jamaluddin (of Tata Indica eV2) after completing the Uberpool trip on 3/11/2016 evening at around 7-00 pm. After getting down from the cab, I found in my mobile that an amount of Rs.101.10p has already been deducted from my PAYTM balance after adjusting a promotional discount of Rs.50/- with Rs.151.10p. This I didn’t know while making cash payment to the driver. The driver also didn’t say anything and left immediately after receiving payment. Please help me out as how to get back the extra payment of Rs.151.10p made in cash. Dear sir,mai continue uber x ko purchase karta Hu…1000 rs ki daily trip use krta hu….but aaj tak aapki tarf se mujhe koi bhi uber x me koi discount nahi mila sir… I am not happy boss…. To see the subject matter,please look in to previous comment. wishes to come to Garia, from Jyotish roy road..pump hoouse lane. Since by my mistake handling Anroid Mobile,I wrote down BuroShivtala,behala. instantly charged me Rs.176.He didn’t even start the car.I was upset for this incident and TAUHEED the cab driver told me to contact HELP DESK to get refund.I am writing this with all my honesty and believe that UBER will refund or adjust the unused fund Rs.176/= immediately.My mobile; 9331222055. Thanking you for your time and attention. Please don’t tie up with paytm because paytm never gave cashback , so uber please keep remain your status. Please don’t tie up with paytm because paytm never gave cashback , so uber please keep remain status. kindly let me know how it is possible. Uber if you can keep provide service why do u keep your services? My email id will be in your data base kindly check the history of my rides for the drivers who did this.. Entered your offer code,but after the ride …. they charged me full amount. This is the second time. I lyk uber services ? Kindly note that yesterday in the evening I took a trip from my house to Salt Lake in Uber Pool. I was shown a fare of INR 119.74. I boarded the cab and reached my destination , but I was charged INR 220.66 . The driver Dinesh could not explain the high rate. On checking my bill I found Uber charged me a 1.3x surge pricing. This is ridiculous. Kindly look into the matter and reverse the excess charges. It was a Swift Dzire. I want to attached car with uber but I don’t hav driver can you provide. And give me contact number of mumbai main office for registration. I want to some information related to my new registration in your online portal for my cab in Ahmadabad, Gujarat, location. And also send all details of your online portal and local city paid information. I want to know processer to attach the vhical with Uber in delhi. Hello please call me on 8554913552 or please give your pune office address Bécause i want to attach my New car to uber.. . I arrived at Sahar International Terminal 2, Mumbai on the 14th night (14-10-2016) around 22.55 hours after a long and tiring flight. Booked my Uber at 23.27 hours followed by confirmation and call by your driver Mr. Ashfak, Tata Indigo. Subsequently had exchange of calls about my exact location and I waited as per his request. After waiting for nearly 45 minutes and my repeated calls to him going unanswered (he had switched off his mobile) I cancelled my call at 00.11 hours, so that I could try to book another one. I was put to lot of inconvenience because of the irresponsible, callous attitude and behavior of your Driver Mr. Ashfak. Your reply per return with action taken shall be very much appreciated. please let me know how can i attech my car with Uber?my no is,9548150037,or give me any contact no of Uber office Delhi branch. i wanna attech my car with Uber so please let me know that how can i do this? Can you please give me the reason why my account is deducted ? Your driver refused to come still you debit my account. I need my money back otherwise i have other way to collect that. I have travelled through uber cab on 13.10.2016 from kphb(hyderabad) to AS Rap nagar on Wallis, driver name Ellaswamy. He was collected Rs726, but uber app showing pending payment. We don’t he contact details of driver. I called a cab on 14 Oct at 10:30 am but the driver who calledand told me that he will take fifteen minutes to reach, called up again after 5 min to say that he cannot make it because the locationis too far. I just said ok, although it was very difficult. After that when I took a cab again the I was charged Rs 50 for cancelling a ride. I DID NOT CANCEL, the driver did. So why was I charged?Also the cab driver of that day told me that as he owns the cab, the more fare he gathers, the moremoney he will make. He asked me if I could change my drop-off location on reaching so that the empty cab he will take to his next destination also getshim money. When I refused to do so, he got angry and although the fare quote was between 125-150, I was charged 200/- for the ride.He said that if I had helped him by changing the drop-off location, he would have taken only 200/-My complaint is that why am I the customer being charged for the fault of these two drivers, one who refused to come and the other who tried to manipulate me into cheating the company. if u cannot solve my problem i have to take legally action. The same issue happen to me also . This is not fair . My phone number is 9884693444. I could not make use of it. Why? I travelled on 11 Oct 16 at around 1130 hrs. I had applied code vsp60 which had given me ?30 discount earlier 03 times. It was applicable for 10 times till 13 Oct. But I didn’t get my ?30 discount on the above Said travel. Kindly reimburse the same. One day I have booked a Uber cab that day the driver Jujhar ( driver’s name) had misbehaved with us. I need the contact no of delhi Uber office. Need your office address and contact number in mumbai. Dear, sir /ma’am. I need a office Address at Ahmedabad. I want to know about patnership with Uber. Can you please send me a Address as well phone number for further information. I want to add my car on uber so send me the address in Pune hadapsar for visiting there….reply as possible…. Someone has hacked my Uber account and unable to login the particular account so kindly solve the matter asap. I want to travel by cab today. It has charged me for cancellation with no reason while the drive actually cancelled it but i had to pay extra 60 rupees. Very bad customer care service. By applied my cupon code”GOOGLEMAPS” i got 20$ on my first ride , but in my first ride i paid 470.38 Rs. I was having 3 trips at 50 %off with promo code. So I used the promo code for the trips,but I got full charges for the trips. I want my money back. Which City are you located? I want to attach my car in uber jaipur. My home location pick up point is in the Noonmati Bijay Nagar point of NOONMATI KHARGHULI PWD ROAD but it is matter of regrate that said PWD Road is reflected as the BALO BORA ROAD Jayanta Nagar.There is no place like Jayanta Ngar by the side of this road.Request to the authority to go through the matter and take necessary action at the earliest. and work with you. Do you any dawn pement facility in pune. I want to attach my car in uber jaipur please call me an msg the jaipur mbg rate 9560505282. Hello Sir Pls Your Office Address in Mumbai & Tel. No. At first i am telling you that uber kolkata is a big platform to owner of the car. But last few days we are facing some trouble to have the daily cash collection statement from our partners account. This updated version is not giving us full information like surge or toll/parking charge as daily basic. So please look into the matter and solve the problem as early as possible. previous version is too easy to fetch all information. A first i am telling you that uber kolkata is a big platform to owner of the car. But last few days we are facing some trouble to have the daily cash collection statement from our partners account. This updated version is not giving us full information like surge or toll/parking charge as daily basic. So please look into the matter and solve the problem as early as possible. previous version is too easy to fetch all information. THE DRIVER WAS NOT GOOD AT ALL HIS BEHAVIOR WAS TO ROD THE WAY HE SPOKE THAT WAS NOT THE CORRECT WAY I NEED A ACTION IN TO IT HE SHOULD APOLOGIZE THE DRIVER NAME IS PROSENJIT. I WILL BE AWAITING FOR YOUR REVERT OR I NEED TO COMPLAIN IT TO OUR LOCAL POLICE STATION SO THAT SAME THING DOSE NOT HAPPEN. send me office address near by Andheri. Sir, I m vivek kumar from chandigarh. I would like to attach my car in uber. Please keep in touch about detail on my mobile number is 9814676360 as soon as possible. Looking for Business for Employment screening check. My cousin last month book Honda Amaze and he want attached his car on Uber so please tell me process and Mumbai office contact number…. I WANT TO ATTACH MY CAR IN UBER. PLEASE GIVE YOUR JAIPUR, RAJASTHAN OFFICE ADDRESS AND TEL NO. I WANT TO ATTACH MY CAR IN UBER. PLEASE GIVE YOUR ANDHERI OFFICE ADDRESS AND TEL NO. I would like to do business with UBER. I would like to know how to become a 3rd party vendor to attach cabs to your company. Please revert back to me with the details. You can also contact me via phone on 8970501888. +919687503680, i need get assistance for driving a cab with uber. I am unable to get any contct no. I want to attach my two cars with uber in Pune, please contact and guide further. I want to attach my two cars with Huber in Pune, please contact and guide further. We want to attach our car wegun r up75 at 1390 today kindly inform me customer care no.& Req.doc.info. I want to my rant my car to uber in pune. My contract no is 8975915050. can you help me how to apply my car rent for this company. I want to my rant my car to uber in kolkata. My contract no is 8334939400. can you help me? I want to attach my car to uber. My contract no is 8334939400. please can you help me? Hi I want to attach my cars with Uber in Chandigarh. My son was travelling on Uber at Ahmedabad yesterday from South Bhopal to Ambadwadi.Forgot his mobile in the Cab…Time was around 12 noon. Can anyone help to trace the driver and mobile of My Kid…. You can reach me on 7567881886. I want to attach my new car with Uber.I will drive my car by myself.Please help me and give me a feed through my email. I want to invest some money in Uber in Kolkata , India . Please let me know how to proceed in this matter . By Wht time the services will be started and concluded in a day?? Will uber accept DATSUN GO of white colour? I want to join my car to uber . Sir night me mere charge jyada liya h.
I need to know how to find out how many free rides you are left with in your account which you earn’t by referring your friends. Why should i charge 60 rupees without ride. I wish to attach a car with Uber, How? I wish to attach a car with Uber. Please help. My account is showing an outstanding due of Rs 60. for absolutely no reason . I always pay by cash . As a result of this, i am not able to book a ride. I demand this matter be immediately resolved. This is outride cheap fraudulance. I am interested to book you cab for taking me from my home to my work at Arati Cotton Mills, Dasnagar, Howrah. I have already installed the app and settings have been completed but I am unable to post my destination rather drop address and that’s the main problem I am having is how to book and confirming the drip point. Please get back to me urgently. I have installed Uber app. The cash payment option is missing & I don’t want to pay through paytm. What is the remedy. I understand that casj payment option is available. Sir,please me contact no.of chandigarh office. I want to join Uber company in any state/city/country. I need HR details in the company to apply for the same and my mobile no is +919811590953. Dear sir, i want to apply a new cab regarding telephonic discussion with you so please reply my on my email. Cannot access uber anyhow. Have money in Paytm but saying not enough balance.Pl help. r cab to contact me urgently.i have downloaded app already. I M from jaipur …where i have call for complain .please provide me complain no.. I want to do business with uber in New Delhi . pl Send me the complete terms & conditions with complete address either please send me the address where I will meet the concerned persons. What secretes can be behind the improper contacts of uber?…. I have left behind my mobile in Sidaraju’s uber cab and i tried several times to call siddaraju and got vague replies. I need my mobile back as i have all contacts stored therein. Pl call me on my son Chetan’s number which is 91-9600123316 and let me know how i can get my mobile back. This is good service in Kolkata where we have so much problem using regular taxi for short distance for elderly people using app is very difficult so requesting to release a desktop version where we can provide exact address and number and someone else can book. Uber service is very bad because i m not ride but deducted my money 300rs. so plz provide uber customer care no. and resolved the Problem asap. I m not satisfied this service. why UBER doesn’t have any contact number? I have complain about the driver Anil contact 07567708541 from Ahmedabad. I have calllaed him after hot the booking number from your application. he has received the call and promised me to come At given location but he didn’t. now bcoz of him I have to suffer and i hv been charge extra for cancellation. they are cheating to peoples….worst service…Uber is west service in pune…very very BAD experience. I have just added Rs 200/- in my Pay TM Wallet through Net Banking at about 9-15 AM ON 26.5.2016. The amount has been cleared from my Bank A/c, but the same is not reflecting in The Pay TM Account. Kindly do the needful. Hi arrange a call on 9990058867. I haven’t used the ride still my Money got deducted from payment wallet.refund money asap.i want a call back on mentioned number anyhow …worst service user. They deduct the money without using ride even.poor service. We have our event heading on 4 5 June as I mentioned earlier u you can go through website once. We have our delegates coming from all over country so we are in need for travel partner so plz reply asap. I want yo business with uber in noida.plz share the contact no and address near by noida. What is the step taken by me .plz reply. Its just 250 to 300 only. They cheated me 200 rs. Pl dont use uber. This is bring to notice to you that, few minutes later, my mobile number 9822197062 code has been hacked & use by other person, As I am NOT using the service……. I will NOT responsible for any losses of the same…. Uber service is not good. Drivers are not expert …then even don’t understand the locations properly. I have been charged Rs 152 for 8km traveled by uber go. Your min.amount is Rs 60 or 7/km. I want clarification. can we use mahindra bolero for bussiness in uber. pls confirm as soon as possible. You are charged me for canceleation for sum of rs 120/- (60 + 60) on dr 27 04 2016. But in this issue not fault from my site. Your driver are not able to come within the estimated time witch are given from you when i book cab. So i request to you give me refund me that amount. (Next day i was a ride for borivali my bill is rs 255/- but your driver was charged me rs 375/-. That’s why i request you. I write you three time to you but no action taken from side. they are cheating to peoples. i had installed ur app today but unable to book my trip. 9500751087 is my number. i need pick up from koyembedu to ags colony today between 8 to 9 pm. can any body help me or possible to get any cab driver number at low fare cab. I want to do business with uber in mumbai Borivali(w) .pls share the contact no. and address near by Borivali & what r the steps to join uber.Can i attach my car without a driver. i have charge Rs. 80 on my account for cancellation and i am unable to use your services i m using other car services please hlep or call solve this ..
mh 01 bt 2284 indigo car, driver is totally illitrate. dont know how to talk to any one, when security come to ask him, he replied he will beat(fight) you. It is not acceptable, sorry to say but he is not able to work in customer service. this incident happen on 22/04/16 around 01:30am in worli. Hi I need to attach my car with uber in chennai. Could you please tell what is the procedure. I am using UBER services from Past 1.5 years. Suddenly I noticed some terrible things happening with my Uber wherein there were trips taken in my name in which I was never taken part or booked. I alerted your customer support about this. Surprisingly on 19.04.2016 I am getting a mail from Mr Nishanth that my account is suspended and he might not help in any ways. Seriously I dint understand Why my account needs to be suspended (since I use UBER regularly for my office commute) when I alerted about the misappropriation happening with uber drivers. This is ridiculous. You can go through the number of trips taken and my rating. Kindly help me to retrieve the Uber account so that I can use this services seamlessly. Below is the mail sent to uber support with all the misappropriate trips taken using my Uber account. Sorry I never travel on this route and see the timing!!! its 1.04 am where I am at my residence at Basaveshwarnagar ( pin code 560079, which is more than 30 km away) in deep sleep. I think u understand this conceren. And these issues erupted from last 4 days where I have complained immediately. The Driver’s name are Somashekar, nagaraja and pradeepa who have faked my trips. One more thing you need to notice is that trips have ended in short distances. Questions those drivers. Its a criminal offence.These they might be trying to acheive the target of 16 trips to get incentives. over and above they given them 5 stars.. Crazy. 18.04.2015 mondya 12.58 am (midnight) somashekara. This is a serious concern Ms Rajashree. Alert your seniors about these malpractices and cancle the partnership with these drivers. It will spoil UBER’s name. So please help in this regard or guide me what need to be done to retreive my same email and registered Mobile number. I want to business with Uber in navi mumbai. Pls help me to get all relevant details. i want to use my credit card as payment method ….. how should i introduce the card details for my payment ???? My uber account is not working and I am not able to book my uber rides for which I am facing lot of problems . pl do rectify the problem . my no is 09864717590. I want attachment my cab to uber in Mumbai pls tell me process. And Send me a nearest office address. I want to business with uber in mumbai Borivali(w) .pl share the contact no and address near by Borivali & what r the steps. pls replied. use ola its good service. Hey my name is Jayashre. I have got free ride but it doesn’t show up. What to do.. Please reply.. It’s urgent… I have to rush to hospital..
Kindly forward the details for attaching maruthy dezire car 10 number to uber. sir I had free promotional rides but when I book the cab promotional rides are cancelled. I booked uber cab on 9th april ,16.when I reached my location there was no cab but fare was deducted from my paytm account. I have earn a free ride but I don’t show the free ride when I forward my promo code. I want attachment my cab to uber in delhi ncr pls tell me process. I want to attach my car to Uber. Dear concerned, In the morning today I requested Uber go and the driver told that he was far away.so I cancelled immediately.But just after that when I tried to book again a charge of Rs 40/ has been showed.Please cancel these charges as I am not going to bear this loss. I would like to add my car in Uber. Please tell how/ whom to contact for the same. My cell no.is 9773989501 in case you can give me a call. Hi, I would like to attach my car to ur Company. You can call me on 9966647374. I want to attach car with your company in Mumbai. Please suggest to me how to attach and where can I contact? In the morning , I requested UberGo and when I didn’t find driver and could not connect to him as his phone was switched off. As I have to reach somewhere urgently and stucked on the way, I have cancelled my ride for book another. Please cancel these charges as I am not going to bear this loss. We have a boutique in coimbatore and would like give free pick up and drop service to our customers thru uber for a period of time. Please give me a contact to discuss regarding this. I have registered with my mobile number on Uber app. but its not working. after i chaged my instrument it is asking for registration number. Further would request you to help me to complete / finish this registration asap. I have a new carAlto800. Can I join in your company. I want to attach car with u. But want to Know the complete process of registration and estimate earning in state like Delhi with sadan or hatchback. I booked uber today on 26.03.2016 and later cancelled on phone. But I got bill on my phone Rs: 72/. I have not used uber. Please check from ur side and cancel the bill raised. I want to attach my car.. pls provide office address and contact no. I want to start business with uber. What docs do i require?? And uptil which year model car does uber accept?? I need help…. i want to join my car to uber cab in pune. plz share contact address so i can visit and understand the process. so could you please provide me what is the entire procedure. Sir I want to join the ubertaxi.company with my taxi car. What is the prceedure. My place is PATHANAMTHITTA in KERALA. I would like to be a partner of uber cabs. I would like to know the procedure and the concerned person’s name & contact no. who I can speak with regarding the same. Request to email me on the above given email id. Hi,,i wanna attach my car maruti swift with your company in chandigarh,,please suggest whom i can contact,,n wat will b the terms. I want associated with you , what I have to do? But I didn’t get any massage planning offer,and contact no’s. I used to ride uber cars whenever needed and booking through app from my mobile 9331000750.but unfortunately for last 3/4 days the app asking for signing/Register and which need e-mail address.since i dont know and possibly not with e mail how i can sign or register.possible l opened the app with phno.so pl solve it and reply by sms or whats up at my mobile no 9331000750. Uber drivers are very indiscipline. They do not listen to their customer but try to ask me follow their conditions. I’m gonna delete this stupid uber app. Very disgusting experience. I want to attach my New Xcent Car(Commercial) with your company in Delhi-NCR. Kindly suggest me the way to Attach and Office near Noida. I booked an Uber for my mum on 03/06/16 pick up @ 9.19am. Driver Daljit. Car Maruti SwiftDzire. Driver did not have change for 500/-. The bill was 191/-. He promised to come back the next day with change…. No driver, no change…. No action has been taken against the driver nor my money retuned to me. I would like to attach my car in your company.I coudn’t find any phone numbers to contact.pls do help me.Thank you. I want to attach car with your company in jaipur. Please suggest to me how to attach and where can I contact? im unable to register with my number and mail id. Im not understanding whats happening. Please help me..
pl share with me the office tel address and the tel no as i am interested in doing business with uber. shown on web is incomplete so im unable to locate. use this code biswarups78ue and win 250 uber money. …i got this…. Pease provide me your contact details, as I need to file a complaint against you. Please call me as soon as possible. need to work will uber please email me the contact detail address of kolkata zone. ???? 24/02€/2016 ?? ??????? ?? ???? ?????? ?? ?????? ?? ????? ???? 473/- ????? ??? ???? ?????? ???? ??? ????? ?? ?? ?? ???? ?????? ???? ??? ???? ?? due ???? ??? ?? ????? ?? ???? ?? ???? I want to know the office add of uber in thane to crack a deal. WHY THERE IS DIFFERENCE IN TOTALING IN THE RECEIPT GIVEN TO THE CUSTOMERS & COLLECTING MORE MONEY AS PER THE WRONG TOTAL AMOUNT WHICH IS MENTIONED IN THE BILL. HOPE THIS QUESTION WILL BE REPLIED IMMEDIATELY ELSE WE MAY HAVE TO APPROACH THE JUDICIARY. I would like to associate UBER.I am interested in putting taxi in Mumbai.Who do I contact and at what address.I would like to visit your office tomorrow ,Monday.Kindly call me today on 9867842520. Please provide me contact details for attach my vehicle in Mumbai.. I booked an uber no 5030 swift desire.. driver was rude arrogant and refused to wait even for 5 mins. Kept pestering me and my friend so much that we finally left the cab… totally worthless service.. plus for 5 mins that he waited Rs 60 debited from my account. If the grievance officer really exists then do something about this waste of money. I’m having problems booking uber cabs from my phone since past 1 month. Every time I try to book in cash mode it says please update your billing mode. It’s causing me problems now to move if I prefer uber. I have downloaded the apparatus but every time I open n try to book a cab I am asked the mail id n password ! I am unable to follow n it takes long time . It has become a futile exercise now . I had booked uber cab in blore from vasanthnagar to dayanand sagar engineering college which cost me 186 Rs. While returning I again booked uber from dayanand sagar college back to vasanthnagar, which cost me Rs.314 I want to know y so much difference in the cost for which I’m subjected to pay. my first ride free but amount deduct from paytm account why? Dear Sir/ Mam plzz give me a Your Office Address ,Delhi,Gurgawn , Noida . I Harish Chandra budhani, order a uber cab with Mrr Som Dutt a Maruti Swift Dzire (HR55R6375). But after some time he tell me my cab tyare is puncture, i am getting late 30 min so i cancelled the trip, but after some time my 80rupes is debit my paytm account. Your app is requesting for paytm money which i feel is not user friendly.please remove this defect with immediate effect. People with no paytm account are facing very much difficult to signin with paytm and the book uber cab. I want to do business with uber cab in the Pune city. I am looking to buy 4 wheeler .pls contact me. contact no. 9011021019. As I am not sure, how to put my vechine in Uber. Driver charged me on my free rides Rs. 135.. In my app fare amount changed by is Rs. 0., showing.. I want my money back.. Its a cheating.. I am interested to do business with uber. plz contact me as early as possible. Pls get in touch with me. I am interested in doing business with you. I want to business at Kolkata with uber cab by buying new four wheeler, plz guide me. pls contact on 9883532536. I am unable to add my paytm wallet with uber app, i have done all the steps shown on ur website but still i am unable to do it . I want to business with uber cab by buying new four wheeler, plz guide me. I am interested to do business with Uber in pune please provide details for that. i talk with customer care executive officer chennai.. please help me.. I want to do the business with UBER. I have a car will be attached to company for business. Please provide the information or procedure for business. Kindly contact on my Phone# 9768444707. Some we don’t have mobile app? so I want to get a ubber cab how can i contact?? If there is any solution let me now immediately.. because of since todays I’m trying to contact number for booking but I’m not getting! I was in HYDERABAD last week and travelled in your cab on 20-08-2015 . There is a amount of Rs 396 due . I have come back to my home town . But I am unable to pay through my credit card . I have been trying but failed. Pl help to help yourself. Please Do not call me in my number below.. I’m not any agent of Uber Cab service.. I want uber cab’s number and location information so that i can give my car to them in order to drive my car for them.. I want to give my car in uber. Please give me uber cab office contact no. and address in kolkata. I am intrested in renting my car in uber for cab service in surat gujrat . I’m interested to drive with Uber Cabs.. Kindly contact me for the details about the terms and conditions.. I am interested in renting my Indica Vista Car on rent to Uber. You can contact me on 9833766929. I had applied for cab by social media form then several message recived like this Earn over 1,000Rs per day! You’re almost ready to drive with Uber. Visit Hotel Orbit, Industrial Area, Ph -2, Chandigarh with your documents to pickup phone and begin. But when I Went uber office (orbit hotel) they said you can come after 2 months for applying ubercab.if they have no requirement then why sending these messages. I am interested in renting out my car to uber in Kolkata. My contact number is 9830024794. Kindly send the details of this proposal. I am intrested in renting my car.I want to know about the terms and conditions of the business.So please mail me at culayush1@gmail.com regarding this and provide the office address in Kolkata if any. I want to know about your terms and conditions regarding doing your business. Mail me regarding this at yosumeet.99@gmail.com. Can you please provide me the address or uber in Mumbai. The best cabs in India is Uber cabs so i really interested business with Uber cabs in kolkata . I want rent my car’s so please contact me 9748736565. HI Uber I want to give my car in Uber.Pls contact me in my mob no 08435287721 for more details. My name is Sushanta Chakraborty i want to join ur UBER bussiness partner in kolkata. plz call me and send ur details my mail id — schakraborty70@rediffmail.com. I am Kosha working @ conde nast India. I look forward to hearnig from the marketing manager as we are doing an exclusive cover on online cab services soon. I am interested to apply for uber cab, i have booked swipt dezire today for registration. Pl, let me know terms and condition for the same. I want to introduce my vehicle in uber.Hw can I contact you.I am reachable at +91-8420123714.plz contact me as soon as possible. I am interested in joining uber as a business partner with my car in Mumbai. Please provide me the details of contact or else you can reach me on 8898466276. My self Bollepally.Narsinga Rao , i would like to join as a business partenr in hyderabad with my car. today i went to HITEX addrass ,but i didnt get any information so, help out or cal to my cell no:9848267534. I am Amit Chanda, want to join uber as bussiness partner in Kokata, plz help me out, or contact me 9088695570. I am getting messages frequently to my number regarding Uber attachment from your company (from 8939657896).I have spoken to this number several times to stop sending the messages to my number & I don’t have Taxi / Cab. Kindly stop sending message from your company to my number as it affects my concentration and also I get frustated and disappointed by this message. I am from Guwahati . I want to know when uber will start their operation in Noerth East . Iwant to associate with Uber as a business partner . Hii m big fan of uber cab. Wat should I do for that and to whom to contact for becoming buisness partner in Raipur. I have booked the uber cab on Sunday 2.49 AM. And then i got the driver details without phone no. But the can not come in that time. For this reason I have missed my flight. Why such type of service? If you are not unable to provide the service in that day / time then why you provide the details. I am not able to book request as everytime msg comes that a request confirmation is being sent on your mail id..but i hvnt recd any mail from UBER.. I want to start business with Uber cab.. I want to attach my car in your company in Delhi NCR please contact my mobile no. 9818036536 or massage your mobile no. I have downloaded uber but I haven’t got 600 whycan why?? while adding money via paytm trough my net banking..
How do i book a uber cab at 5:00 AM beforehand for 3rd June? I want to attach my new swift dzire tour car with uber. Plz share the process. I want join uber cab’s as a business partner (Swift Dzire). my rent is deducted twice. I want to book Uber for 6 persons in delhi. Plz help. I want to join Uber as a business partner with my cab. So I want to contact person of uber in kerala. I want to join Uber as a business partner with my cab. So I want to contact person of uber in kolkata.